The first matches of the SheBelieves Cup took place in Columbus on Thursday evening at MAPFRE Stadium. 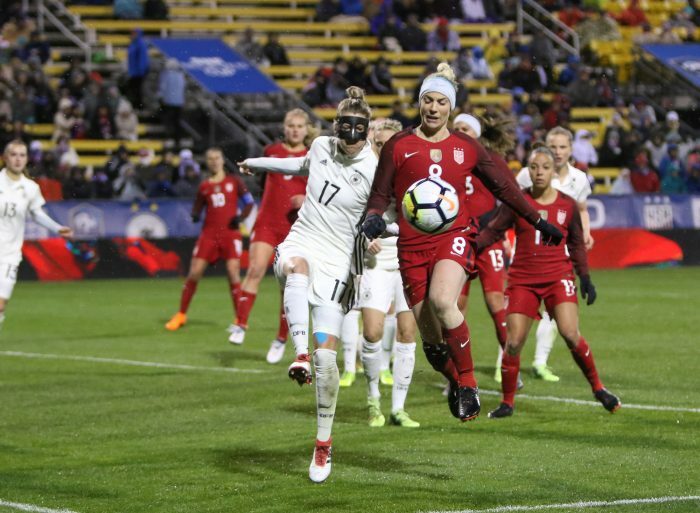 Playing host to the Senior Women’s National Teams of the United States, Germany, England and France, Ohio saw a 1-0 U.S. victory over Germany in the late match of the night. 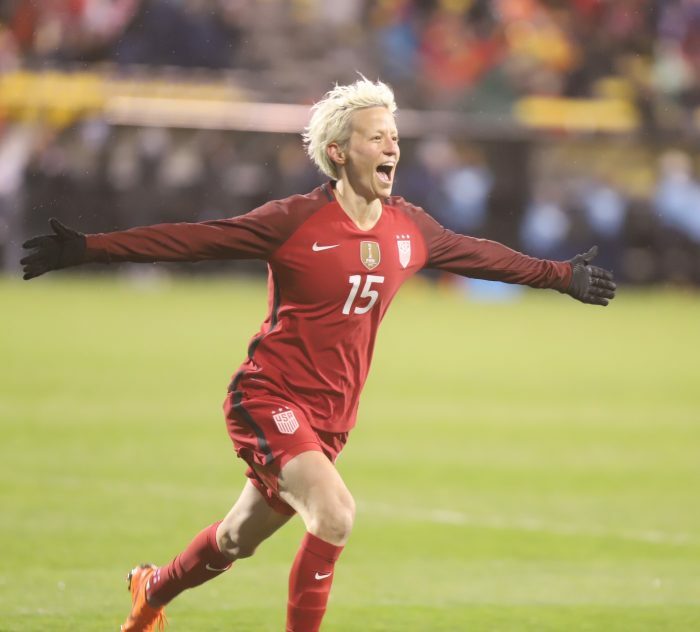 The United States struck first in the 17th minute as forward Megan Rapinoe burst down the left side and put a ball between the legs of German goalkeeper Almuth Schult and into the back of the net for 1-0. Forward Alex Morgan’s header provided an assist to Rapinoe. Rapinoe figured there would be more goals in the match against the second-ranked German team. Thursday’s match was the fourth in a row between the two teams to end 1-0. Ellis believed that her team played its best during a period of the second half. The U.S. kept their foot on the pedal in terms of attack while in the driving seat and playing against the wind and a German team that wouldn’t go away. The U.S. had twice as many shots and shots on target in the match. Fourteen shots and four on goal came for the USWNT compared to seven and two for Germany, respectively, despite them having 57 percent of the possession. A rainy day in Columbus continued into the night and was accompanied by the cold and wind once the game kicked off. Ellis emphasised after the game that a match like this could not be replicated and it was valuable for the experience of her team, as gruelling as it may have been. She talked with her team about the potential for rough conditions earlier in the day and elected to play with the wind at their backs for the first half. That decision proved crucial to Rapinoe’s goal and an early three points in the competition. Following the first game, the U.S. sit in second place in the SheBelieves Cup. Goal difference puts England top, who beat France 4-1 earlier in the day. The United States, England, Germany and France will continue the SheBelieves Cup in the coming days as the remaining games take place on 4th March and 7th March in Harrison, New Jersey and Orlando, Florida respectively.